A state-appointed Israeli commission has issued a report on the probe into the Israeli raid on a Gaza-bound aid flotilla in May 2010, justifying both the raid and the blockade imposed by Israel. The panel looking into the raid, which killed nine Turkish activists and sparked strong international condemnation, was made up of four Israelis and two foreign observers. 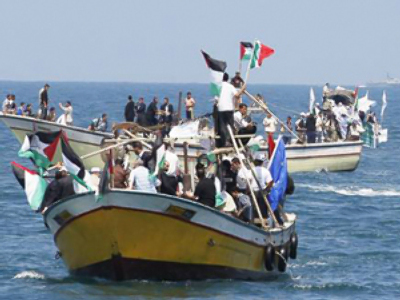 "The actions carried out by Israel on May 31, 2010, to enforce the naval blockade had the regrettable consequences of the loss of human life and physical injuries," reads the report. Nonetheless, "the actions taken were found to be legal pursuant to the rules of international law." Essentially, the Israeli report says the soldiers acted in self-defense. It examined 133 cases, and found that in 127 the soldiers were legally justified in the way they acted. As for the other six cases, the report says there is simply not enough information. The primary point of the Israeli Turkel commission is that the actions of the soldiers or their commanders did not violate international law, as according to them, the Gaza-bound flotilla intended to break the Israeli blockade on Gaza. The Israeli Defense minister Ehud Barak has praised the findings of the report, saying that it proves that Israel is a law-abiding country. 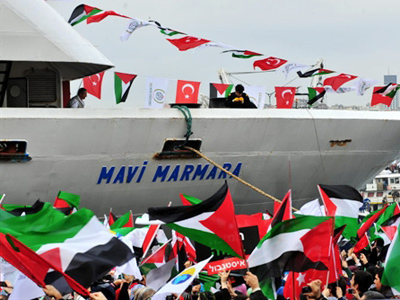 Turkey has conducted its own inquiry in which it found the raid on the flotilla illegal. The Turkish national inquiry submitted its findings to the UN in September 2010. Now it is up the UN Secretary General to examine both reports and release his own conclusions. Many Israeli human rights groups’ activists, among them Israeli MP Haneen Zuabi who belongs to the Arab party and was involved with the flotilla, have also come out with heavy criticism. They say the report ignores the killing of nine Turkish activists. They also believe the report is essentially wrong in saying that Israel’s blockade on Gaza is justified because of military concerns. Since June 2010, Israel has eased its blockade on Gaza, making border controls less harsh and allowing most consumer goods to enter the region. However, little export is allowed and freedom of movement is still restricted. 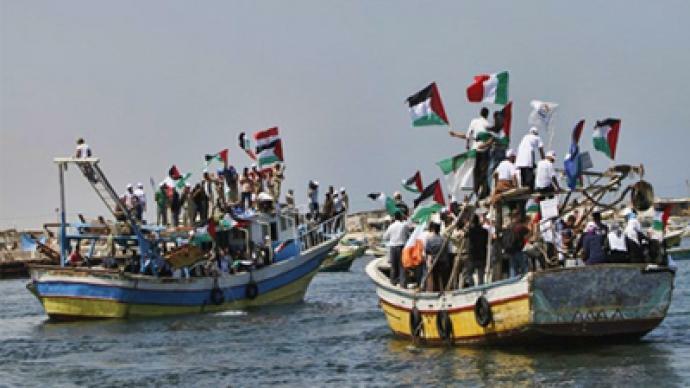 One of the main reasons for criticism of the Israeli position is that Israel argued for a long time it was crucial to keep the Gaza blockade, but started easing the blockade almost immediately after the Freedom flotilla incident. This prompts the question over whether the blockade was needed in the first place. Israeli activists also criticize the Turkel commission itself, claiming that the selection of the committee and the limited authority it had from the outset created a situation where the inquiry could only come to the conclusions the government wanted it to reach. Sari Bashi, the executive director of the Gisha legal center, which protects the freedom of movement of Palestinians, says no inquiry commission in the world can justify deliberately restricting the passage of people and goods in order to paralyze the economy and prevent normal life in Gaza. Bashi said that international law allows Israel, as the occupying power, to restrict the passage of goods and people in and out of Gaza only if it is done for security reasons. Bashi also added that the Israeli commission was basing its findings only on evidence it collected from Israeli witnesses. Despite all the criticism, it is highly unlikely the Israeli findings will undermine the Middle East peace deal, especially taking into account that there have not been many positive signs on the peace process road in recent months. The second part of the report will be published in the near future. It is expected that this part will look at the decision-making that led up to the commando raid.